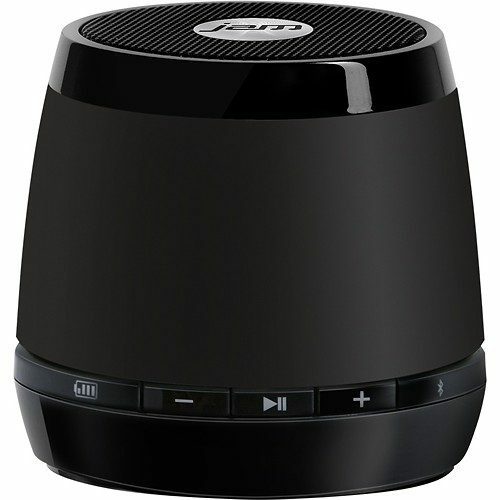 Jam Classic Wireless Speaker Just $14.99 At Best Buy! You are here: Home / Great Deals / Jam Classic Wireless Speaker Just $14.99 At Best Buy! Best Buy has this Jam Classic Wireless Speaker on sale for $14.99 (Reg. $29.99) + FREE shipping! You may also be able to get FREE in-store pick up. Enjoy crisp audio with this Jam Classic HX-P230BKF wireless speaker that features a built-in rechargeable lithium battery for up to 4 hours of playtime. Compatibility with most Bluetooth-enabled devices offers wireless control from up to 30′ away.